Although Yamaha riders like Yuki Ito managed a steady track record from practice day within the top five spot, qualifying day seemed rather challenging for the riders when Ito (PETRONAS Hong Leong Yamaha) could only qualify outside the top ten position, leaving Makoto Inagaki of Akeno Speed Racing and Aaron Morris (Finson Motorsports Australia) to bring about their Yamaha machines against a large pack of Hondas and Kawasakis up front. Ito qualified 16th with a rocky 1:06.003s, about a second behind pole-sitter Mohd Zamri Baba who timed his run in 1:05.123s. Ito’s three practice run had shown good progress but somehow the young Japanes was unable to repeat his best feat in the qualifying. His younger, more-inexperienced compatriots, Ahmad Afif Amran qualified 22nd (1:06.475s) while rookie Mohd Fitri Ashraf Razali qualified two positions behind with his best time, 1:07.079s. Another Yamaha favorite, Mark Aitchison however will start mid-pack in 14th position after recording a solid 1:05.978s. Young Cub Prix rider, Kasma Daniel Kasmayudin though still jittery about his first appearance in the Asia Road Racing Championship let alone competing on a bigger, 250cc machine, managed to set good time to qualify and start in the second row, just behind the frontrunners. The Yamaha Finson Racing rider, sole Malaysian for the Australian outfit, timed his run in 1:16.809s to be in grid number 6, just two positions behind another Yamaha rider, Japanese Ayumu Tanaka of Akeno Speed Racing. From only a couple of hours of seat time during the pre-season test and just three practice sessions prior, Kasma has displayed strong progress especially at the mercy of experienced Takehiro Yamamoto in second grid and pole-sitter Thailand’s Apiwat Wongthananon. 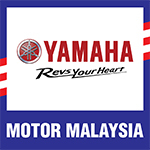 Felda PB Racing’s Mohd Fairuz Nasir and Mohd Izzat Zaidi of RCB Yamaha YY Pang Racing Team could only qualify outside the top 20 best and will have to work their way up Asia’s best riders like Rusmann Fadhil, Siti Norafizah Muhamad and Vorapong Malahuan. Wildcard entry, Ahmad Fazli Sham (PETRONAS Yamaha Maju Motor) stormed to pole position having aced the Underbone 130cc SuperPole with 1’22.230s. The PETRONAS Yamaha Maju Motor is set to start the race alongside teammate, Abdul Muhaimin Roslan who recorded 1’22.282s while newcomer, Saiful Izman Ahmad Zamani (Felda PB Racing), son to former racer, Ahmad Zamani Baharudin impressed by coming in third with 1’22.423s. Norizman Ismail who had dominated the practice sessions will start from second row having posted his flying lap in 1’22.570s followed by Ahmad Nazrul Sham and Ferlando Herdian. Reigning Underbone 130cc champion, Gupita Kresna is set to take off from row three with Hokky Krisdianto and Elly Idzlianizar ilias. 10 riders have been selected for the first Underbone 130cc SuperPole session later this evening following the third and final practice at Sepang. This new development was announced ahead of the 2015 opening round, which also marks the championship’s 20th season. Riders to take part in the highly anticipated SuperPole are Norizman Ismail (Harian Metro Y-TEQ SCK Honda Racing) who topped FP3 with 1’20.318s followed by reigning Underbone 130cc champion, Gupita Kresna, Ferlando Herdian, Hokky Krisdianto, Ahmad Fazli Sham, Anggi Permana Putera, Abdul Muhaimin Roslan, Ahmad Fazrul Sham Elly Idzlianizar Ilias and Saiful Izman Ahmad Zamani. Released one by one with a 15 seconds interval between them, riders will get a sighting up lap followed by a flying lap before returning to the paddock.